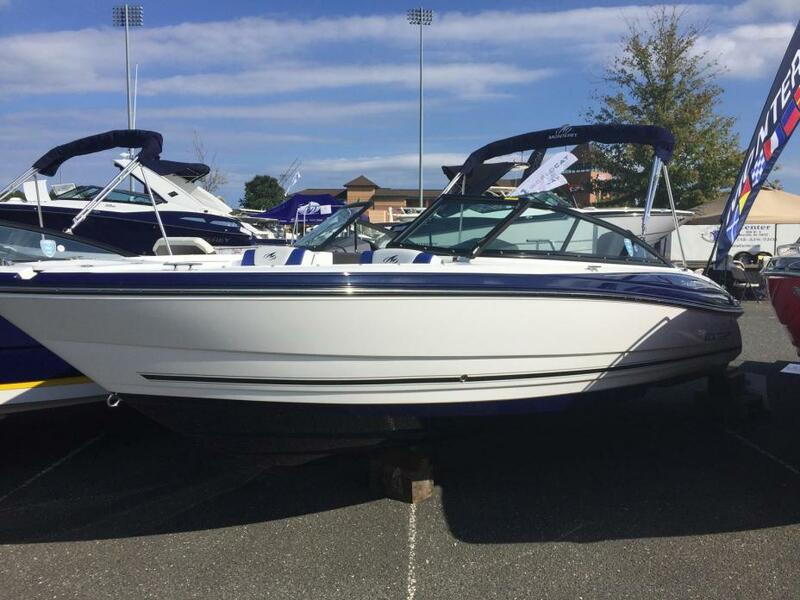 2015 Monterey Blackfin 217BF, This boat was in our rental fleet and has approx. 140 hours. 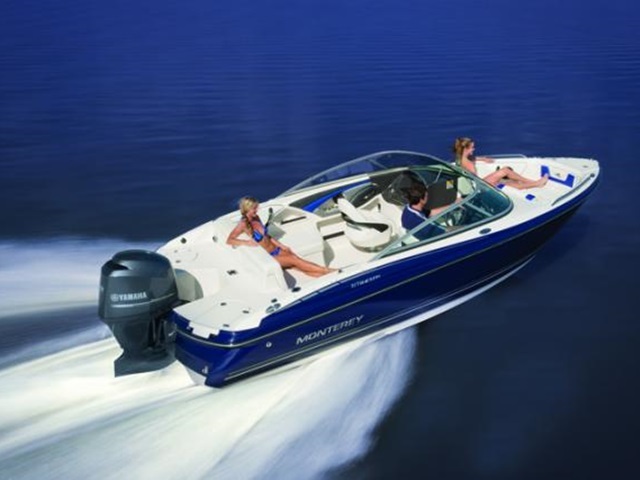 You will get a 5 year Mercury engine warranty!! 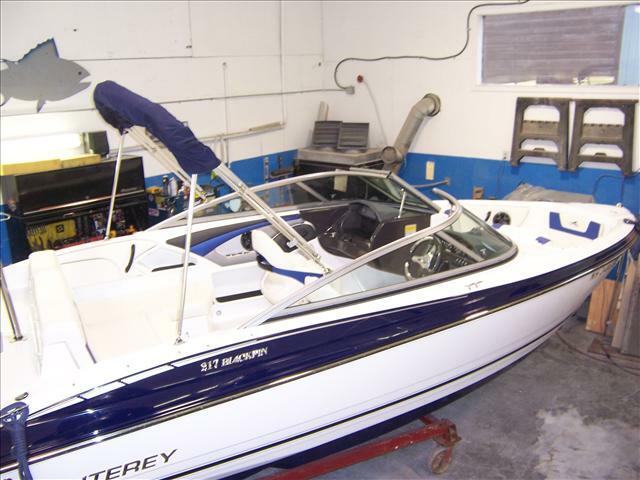 Options: Mercury 150 4-Stroke EFI, bow & cockpit cover, bimini top, removable ski tow pylon, convenience pkg, Sapphire hull bottom and deck stripe. A trailer is NOT included in the sale price! 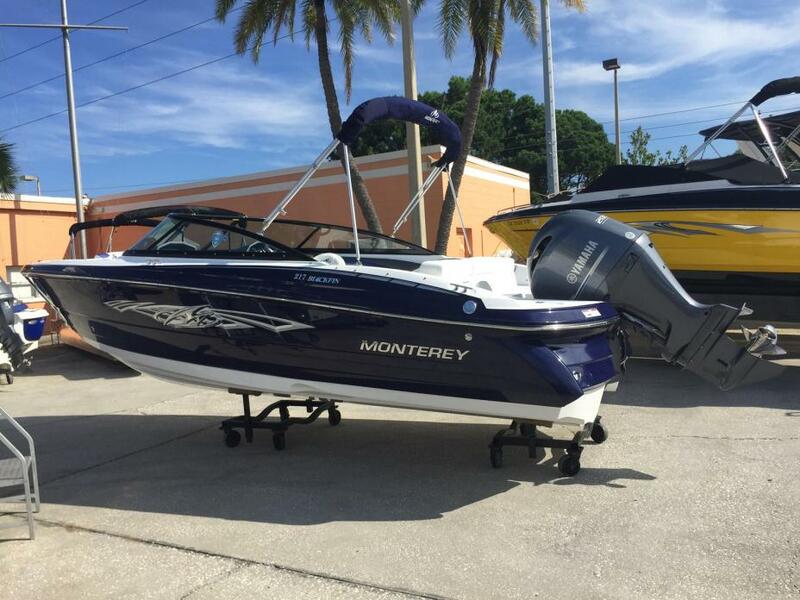 2016 Monterey 217BF, Our new 217BF is ideal for wakeboarding, skiing, swimming diving and fishing and can be customized with a sleek black powder coated wakeboard tower. 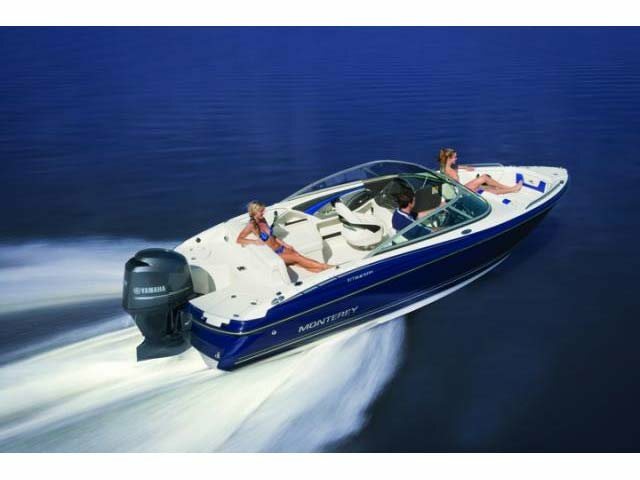 Standard features include a swim platform with a telescoping recessed ladder, and optional stainless steel ski-tow pylon.